Enter Elise, crack typist, master plotter and perfect for the live-in job in every way but one…two if you count Mr. Wiggles, her furry companion. For though Jed had sworn he would never get "involved" with a woman who worked for him, it took only a day or two with the perfectly professional, pencil skirt–wearing Bravo beauty to realize that he needed to keep Elise—in his bed, in his house and in his life. And the first step was building Mr. Wiggles a catio—because maybe there was more than one way for Jed to make Elise his. 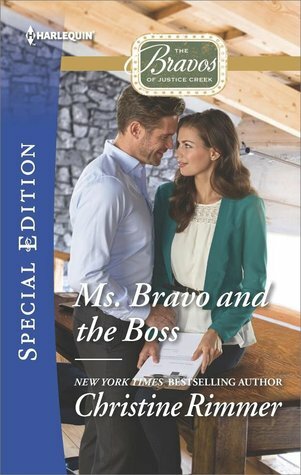 Ms. Bravo and the Boss by Christine Rimmer is a 2016 Harlequin Special Edition publication. I was provided a copy of this book in exchange for an honest review. 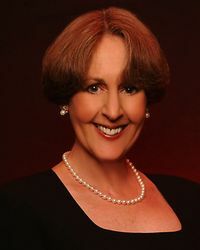 Christine Rimmer pulled out all the stops with this edition of the ‘Bravos of Justice Creek’. Jeb Walsh is a popular author of thriller novels, but when his long-time secretary leaves, he finds himself in a serious bind. Missing deadlines, and firing one typist after another, Jeb is earning a very nasty reputation. Elise has experienced a serious spate of bad luck, and is now working two jobs just to make ends meet. When Elise finds out Jeb is looking for someone to type his dictation, she knows she would be perfect for the job. However, Jeb’s reputation precedes him, making her think twice about applying for the position. But, when she finds out how much he is paying, it’s an offer she can’t refuse. So, with her beloved cat, Mr. Wiggles, in tow, she moves in to Jeb’s home. Elise is so good at her job, it’s not long before she and Jeb actually forge a bond and the chemistry between them began to sparkle and shine in a most amusing and delightful way. But, once Jeb’s deadline is met, Elise plans to go back into business for herself. Can Jeb continue to create without his obsessive and eccentric routines or without Elise? This story was so fun! Jeb is a terrifically flawed character, who is a little self -absorbed, is slightly alpha male oriented, and has some pretty peculiar habits. But, wow, can he be romantic and so sweet and charming!! It’s no wonder he swept Elise off her feet! But, of course, those aforementioned flaws come back to bite him, and Elise knows she has to make a stand, even if it breaks her heart to pieces. Naturally, the delightful Mr. Wiggles was a wonderful little scene stealer and a charming part of the story, as he helps Jeb and Elise find true love. I always enjoy Christine Rimmer’s romance novels, but this one was especially sharp, with great dialogue and perfect pacing. This is such a super romantic story, I felt light as feather once I finished it.